Sickle Cell Disease is characterised by a reduction in the lifespan of Red Blood Cells. These Red Blood Cells are responsible for carrying oxygen to various parts of the body. Normal Red Blood Cells have a lifespan of about 120 days. In patients with Sickle Cell Disease/Anaemia, this is reduced. The Red Blood Cells breakdown within 10 to 20 days due to their abnormal (sickle) shape. The bone marrow is therefore tasked to produce more red blood cells to replace those lost. The demand of ‘blood building’ nutrients like folic acid therefore goes up. This makes it expedient for every person living with Sickle Cell Disease to have folate supplementation. Folic acid can be obtained both pharmacologically ( through drugs) and non-pharmacologically (through diet). 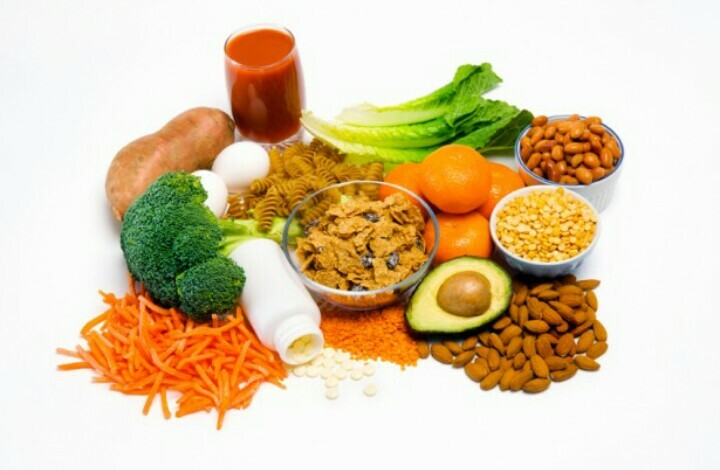 Food rich in folic acid include green leafy vegetables such as ‘nkontomire’, citrus fruits such as oranges, beans, peas, lentils, okro and nuts. A patient with Sickle Cell Disease must be counseled to include such foods in their diet. Daily intake of folic acid tablets is also necessary. Folic acid supplementation helps to raise the haemoglobin level improving the supply of oxygen to the various parts of the body. Folic acid at a dose of 5mg daily should be given to an adult and children older than 12 years. Children below 12 years old should be given a dose of 250 micrograms per kilogram body weight daily. No daily dose should exceed 10mg. Folate poisoning is rare because folic acid is water soluble and therefore readily excreted by the kidney. Yet in a few cases it may occur. Patients may experience symptoms such as bitter or metallic taste in the mouth, changes in mood (excitability, irritability, or hyperactivity), changes in behavior (psychotic symptoms) and gastrointestinal side effects (such as nausea, vomiting, stomach pain, diarrhea). Such patients are given symptomatic treatment in the hospital. This includes treating the side effects and the symptoms as they occur. Lab tests may also be required to check for other potential side effects and monitor progress. This is done till the body slowly excretes the folic acid. Please note that folic acid does not cure Sickle Cell Disease. It is essential for maintaining good health and should be taken as recommended by your health care provider. Written for Sickle Life by: Miss Elsie Aniteye (Pharmacist). This entry was posted in Blog and tagged #SickleLife, Ghana, health, sickle cell awareness, sickle cell disease. Bookmark the permalink.